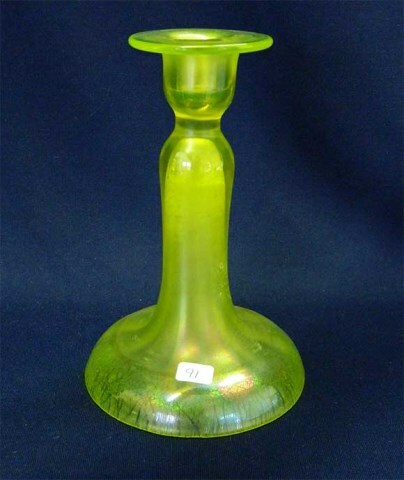 Reported in coral and topaz (vaseline). 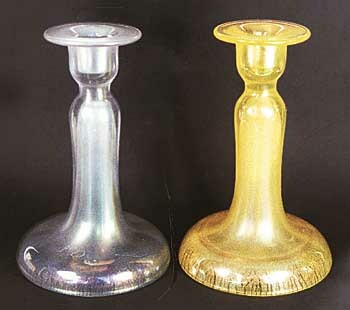 Heights vary from 7 3/4 inches to 8 3/4 inches; the bases from 4 1/4 to 5 inches. 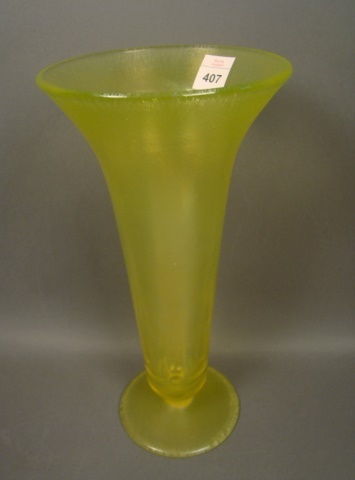 This material was taken from the Heart of America Carnival Glass Association notebook series with the permission of club president, Bob Grissom. 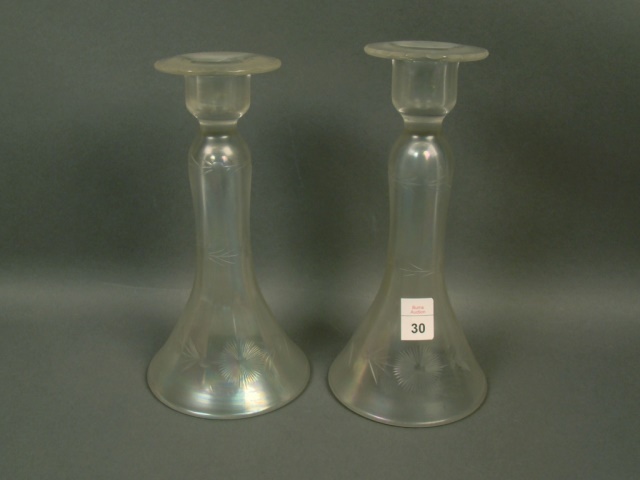 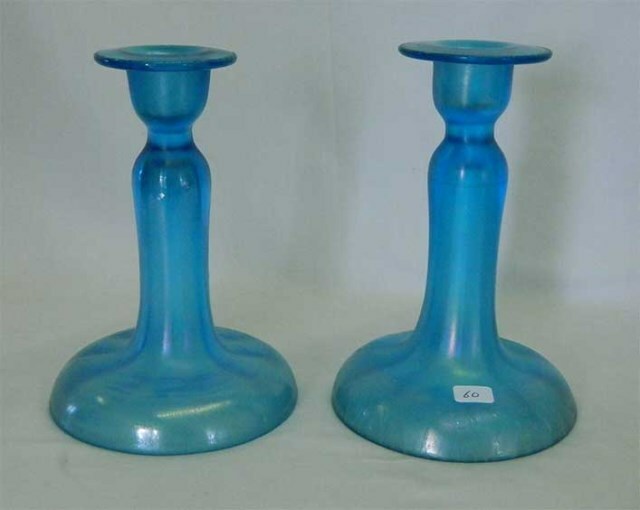 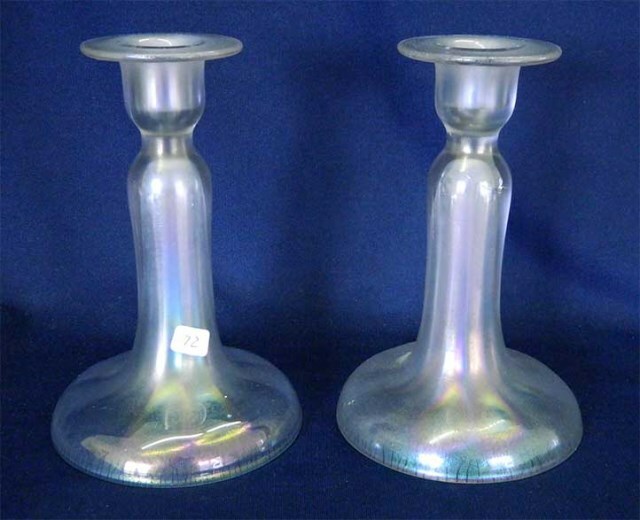 In 2013, a pair of white One Fifty One candleholders sold for $20 and a pair in celeste blue brought $15. 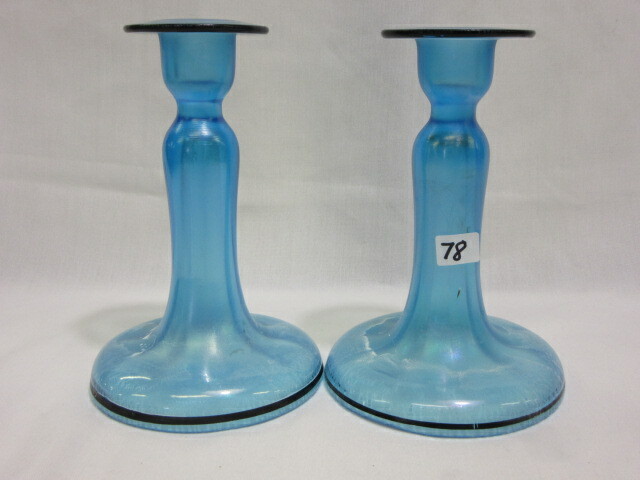 A single candleholder in vaseline sold for $45.